The small European country that has been making headlines for its defiance to many proposed austerity measures, has actually been put in the spotlight for all the wrong reasons! It’s economy was never strong and, being blatantly honest, Greece doesn’t really produce anything. So, how come they’ve managed so far and expect to overcome even this terrible recession that has lasted over half a decade? One word: Tourism (ok, maybe 3, Tourism and Shipping). The small country has shined for millennia, since its prime location has allowed it to be part of the global history, more than once or twice. It lies in the cross of Europe, Asia, Africa and the Middle East, thus serving as a trading point for all the great civilizations that flourished on all these regions. But Greeks took trading one step forward! They expanded around Mediterranean and in the process created one of the most important civilizations that ever existed, giving their enlightenment to modern day Western Live, Politics, Ethics and Culture. What they also did was utilise in the best possible way their region, creating settlements on all their beautiful islands, no matter how fertile or barren the were, and building temples to worship Gods on the most breathtaking places, since only Gods must have been able to create such beauty! That is the case with most of Greece, be it Mykonos, Santorini, Crete or even Athens. You may see a modern-day concrete jungle, but even this jungle has a certain fascinating charm to it. On top of the Acropolis -literally the edge or peak of town- you suddenly don’t just admire the Ancient monument, but fall in love with the Greek capital, its location, its history and of course its people. Considering you’ll take the non-existing chance of a GREXIT, and visit Greece, where should you go, where should you stay and what should you do? Well it really depends on what you really like, but most likely you’ll love it anywhere. It’s not unlikely that your first stop to Greece will be its capital. Home to one of the busiest ports and airports in Europe, Athens is a destination on its own. Its list of museums matches only the number of Greek islands, but make sure you don’t miss the National Archaeological and the new Acropolis ones. Stay at AthensWas for its unique location and contemporary style, but don’t stay in! Take a walk along the city’s ancient monuments and visit its hip bars and cafes. Taste authentic souvlaki, but also fusion mediterranean cuisine by some of the most well known Chefs! 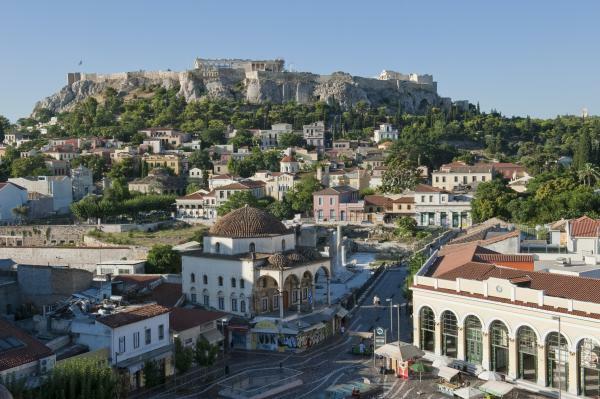 Don’t get frustrated by its constant buzzing, Athens is remarkable and its people very friendly! Plus, almost all speak English, so you’ll never end up stranded without being understood! If romance is what you’re looking for, Greece can amply provide. Nation’s most beloved island, Santorini, is a couple’s paradise! Spectacular landscape and breathtaking views, set the background for nature’s most awesome sunsets and the world’s best romantic destination. Splurge a bit more than usual and opt for the ultimate location, a caldera suite with a private cave pool at Andronis, for a stay that will remain unforgettable even to those who simply follow you on instagram. The island’s beaches aren’t exquisite, but have their own unique colour -literally, there’s a red one, a white one and two black ones- but, just like the small multicoloured houses on the rim of the caldera, their different tones make up for a beautiful symphony, instead of a cacophony. Don’t miss the sunset from Oia, the Archaeological site of Akrotiri and a boat tour around the island and the volcano. Difficult to choose one place in Greece that is better than the others for its beaches, but Greeks tend to agree that the most impressive beaches are in the Ionian sea. It may be the clear azure waters or the golden-white sands, but Corfu has a great reputation as the island to go, to enjoy summer vacation. This is why there have been many different kinds of tourism. Families love the island as well as couples, but also singles looking for nightlife or adventurers, enjoying alternative tourism routes. 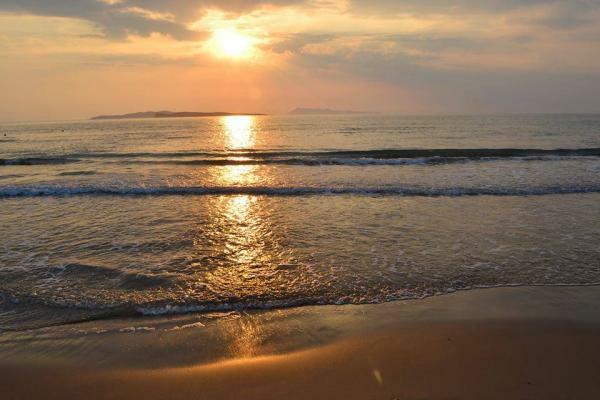 Corfu has something for anyone, but mostly it has stunning beaches fall all! Stay at Delfino Blu, a small boutique hotel that always makes it to the list of best hotels in Greece, mostly because of its amazing, friendly and helpful staff. While in Corfu, go sightseeing for a day or two and then try to visit most of its sandy, cool, clean and beautiful beaches, that look like someone photoshopped them to reality! It’s true that the beauty of Greece has affected it development and some places look more like theme summer parks, than a Mediterranean region. 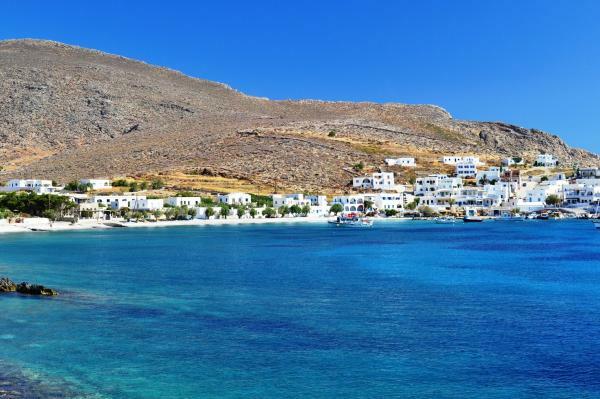 Take a step to harsh and beautiful reality, visiting an unspoiled paradise: Folegandros. The small Cycladic island has withstand the travel boom, mostly because its small port couldn’t accommodate large ferries during the 70s and 80s. Nowadays people who visit it know exactly what they’ll find, seclusion, white washed houses, barren land, friendly people, sandy beaches and authentic Cycladic living. Best place to stay is the Anemi Hotel, a Design hotel -the only on the island- that maintains local character, but provides all the needed amenities for a relaxing and amazing stay. What to do? Walk, taste, swim, let go, enjoy! Family holidays in Greece doesn’t have to mean being locked up in a family friendly resort, where everything has to be done in groups, within the hotel and no one speaks the local language. Crete is so big, bold and beautiful that redefines family holidays. Here you can visit a museum with the children while your spouse goes scuba diving and your friends that came along stay in the hotel for some pool fun! 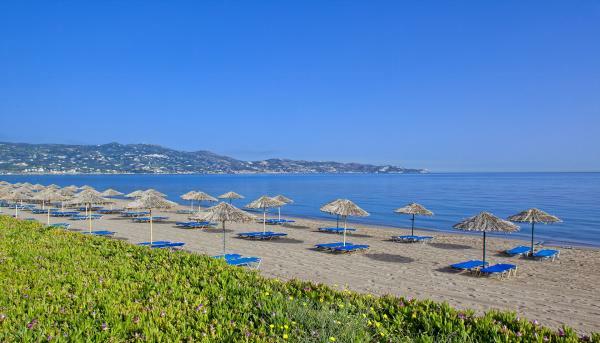 Stay at a friendly resort that has many activities and a kids club, like Creta Beach, just don’t spend all your days on a sunbed, on the hotel’s beach. Crete is the birthplace of western civilization, with some of the continent’s most important Archaeological sites and one of the most packed museums. Crete’s size makes it ideal for renting a car and exploring it. Small villages, buzzy towns, some of the best beaches of Greece, luxury amenities, budget restaurants… Crete will win all of you over and over every day you spend at it.